Cannibalism is the act of eating a member of the same species and, while disgusting to most of us, is an extremely common practice throughout the animal kingdom. There are plenty of reasons for cannibalism, such as religious practices, serial murder, or just lack of food in the case of humans. Many other animals will engage in cannibalism without a second thought. Some animals that will, at times, eat members of their own species might surprise you, like the hippo, certain types of bears, salamanders, worms, and various other species. While animals may do it, somehow, we see as ourselves separate until a complete madman reminds us that we, too, are susceptible to cannibalistic tendencies. Is it possible that, pushed far enough, any one of us human beings possesses the ability to turn into a cannibal? The human race has been pressed plenty since the dawn of history, and we’ve resorted to cannibalism for many reasons. Today, the modern sciences can tell us a lot about cannibalism as we piece together the story of human history and its relationship with the practice. Here are ten facts about human cannibalism that we know thus far. With all of the current scientific and anthropological literature that we have now, one could say with the utmost of extreme confidence that cannibalism is as old as humanity itself. 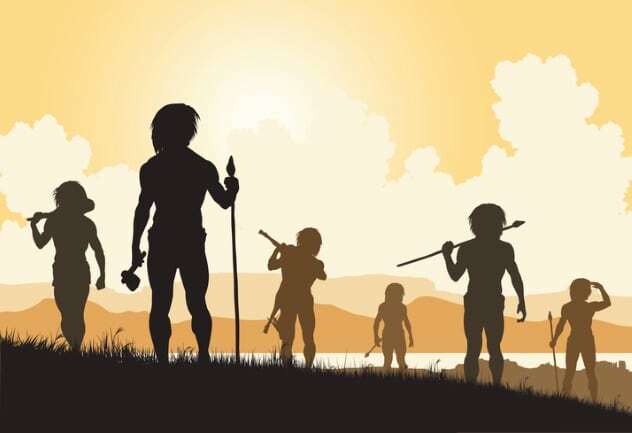 Evidence in the way of bite, cut, and tool marks have demonstrated that humans would occasionally delve into cannibalism, feasting on their friends, relatives, and fellow tribespeople. This wasn’t always done due to a lack of food, either. Many instances of prehistoric cannibalism have been found accompanied by homicide and intertribal warfare. In fact, the entire globe is replete with archaeological digs that confirm the basic facts, that prehistoric humans were violent, murderous, and of course, cannibalistic, even in times when an abundance of food was present. 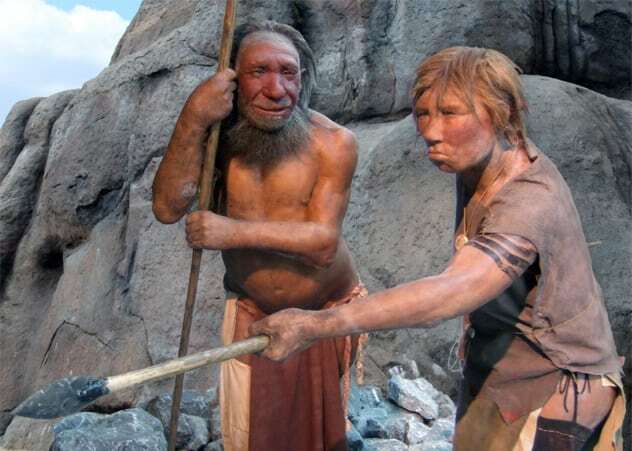 Neanderthals also practiced cannibalism, quite like we did. There have been excavations of grave sites which have confirmed that Neanderthals would kill, cut up, and eat each other. We know this from the presence of tools, however rudimentary, used for cutting straight lines through bone. These wouldn’t have been used for combat, where blunt force trauma would be expected. Also there are bones with damage that is not consistent with animal attacks, which don’t deliver clean cuts into or through bone. One site excavated in Krapina, Croatia, contains scattered, fragmentary remains of many Neanderthals. In addition to the clues mentioned above, the skeletal remains at Krapina contain bones which have been burned, which some scientists have touted as clear evidence of cannibalism. For all the disgust and repulsion we feel when we imagine ourselves taking a big, juicy bite of human flesh, the fact is that cannibalism among animals is surprisingly common and, most of all, a perfectly natural part of the behavior of organisms—including humans. Along with it being a natural, albeit comparatively rare (for humans), behavior, cannibalism is built into at least a very dark corner of the fabric of the human existence. As we’ve discussed, people have been eating people all across the globe for the entirety of human existence. Cannibalism is likely a natural, innate trait that needs to be activated under certain environmental stimuli. The 1972 crash of Uruguayan Air Force Flight 571 shows that even modern humans, who are typically repulsed by the idea and may even have deeply held religious convictions against it, will eat one another if push comes to shove, stuck in the deep, bone-chilling cold, with no recourse for help. Kuru is a sweet little bit of karma in the form of a prion that devastatingly infects the human brain. Kuru was especially prominent among the Fore people in New Guinea, particularly during the 1950s and 1960s. “Kuru” is a Fore word meaning “to shiver” or “trembling in fear.” Kuru throws its victim off-balance, making simple motor activities more and more difficult as time goes on; it is typically fatal within a year of being contracted. In a quite macabre twist of fate, victims of kuru end up dying of dementia, as the prion from the consumed brain tissue ends up infecting the brain of the consumer. Kuru is slow, steady, and downright awful, so if you were considering cannibalism, particularly eating human brains, take this as a warning: You can catch some seriously nasty pathogens by doing so and end up losing your life within a year. These diseases happen because the animal is infected with prions, a form of protein which is highly destructive, yet still not entirely understood. We do know, however, that cannibalism is a risk factor for prion disease. It is actually believed that the early human race suffered from full-blown prion epidemics, as cannibalism was more widespread for various reasons during prehistory. The consumption of humans by humans only led to more dead humans to consume. 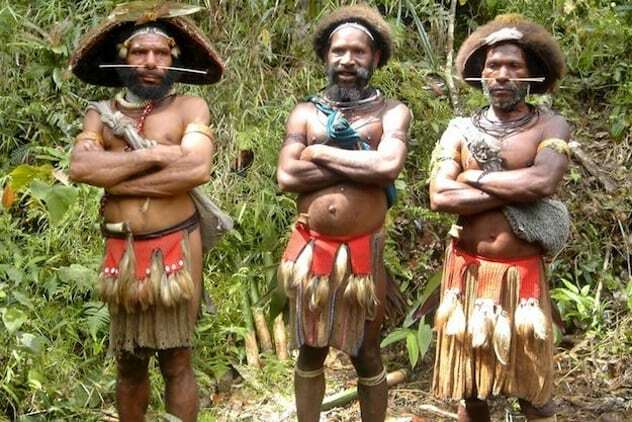 But the news isn’t all bad for the Fore people of New Guinea; over the decades of studying them, scientists have found evidence that seems to suggest an immunity developing to prion diseases, making those who practice cannibalism less and less susceptible over time. 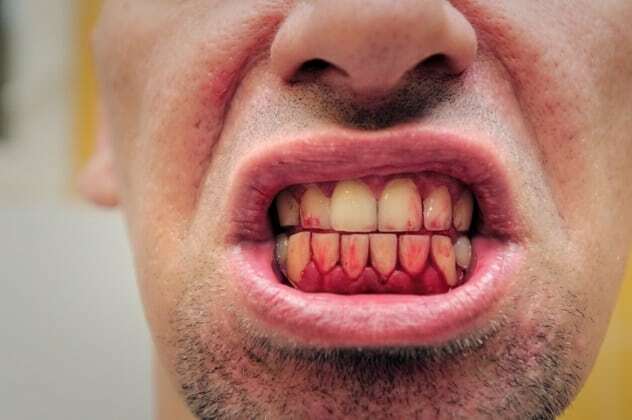 Specifically, people who ate people and survived carry a genetic mutation called V127. 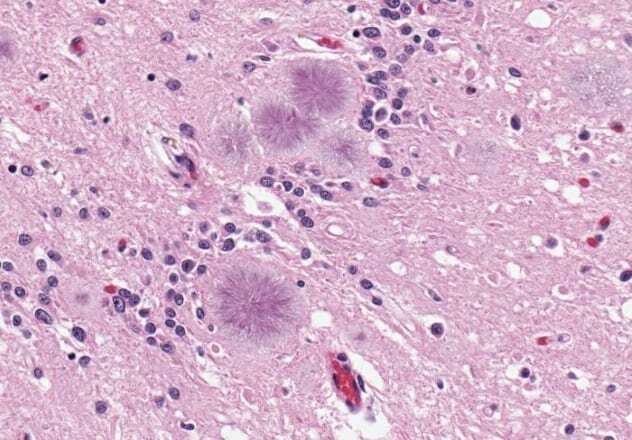 People with thus mutation survived the kuru epidemic, and it appears to grant resistance to other prion diseases as well. Subsequently, scientists bred mice with the V127 mutation. These mice were also found to be resistant to a number of prion diseases. The research is mixed on how much cannibalism has taken place out of necessity, as opposed to other reasons. For example, it has been proposed that the infamous Aztec human sacrifices may have been more than just rituals but also an act of ecological necessity. As pressure to obtain nutrition for speedily growing populations increased, perhaps so would human sacrifice and cannibalism. However, this explanation is only a theory. 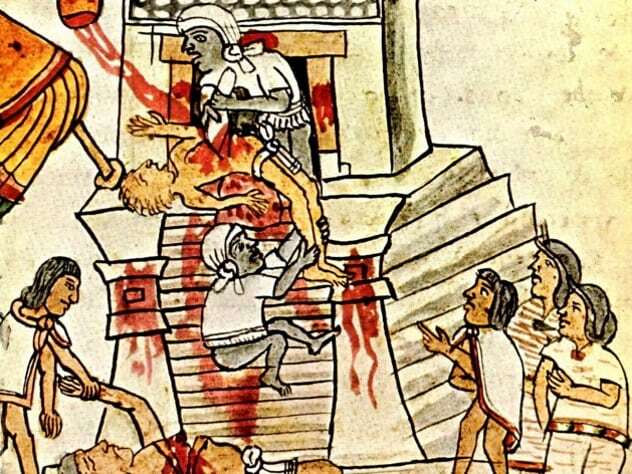 The Aztecs, from what is understood, generally performed human sacrifice in the times of harvest, perhaps as a thanks to the gods, rather than times of famine. Furthermore, the nutrients gained from human consumption would not have been of significant help. Throughout history, eating human meat, aside from any spiritual or emotional significance that may be imbued into the act, has largely been, at least when it comes to digestion, much like eating other animals. However, while we contain many of the fats, oils, and proteins that other meats contain, cannibalism just isn’t very nutritious, at least not compared to other meats. Given the nature of modern medicine and making sure experiments are ethical, tests obviously haven’t been done on cooked human flesh. However, we know what the human body is made of, and it’s possible to essentially count the calories of its various parts. There are only approximately 1,300 calories per kilogram of human muscle. Compare that to a full 4,000 calories for bears and boars, and it becomes apparent that human meat is a poor source of energy. When it comes to consuming calories, not all meats are created equal, as we’ve established. Some are more calorie-dense than others. Nevertheless, the human body as a whole can provide a lot of energy. While you run the risk of catching kuru or other prion diseases, a human brain might fetch you about 2,700 calories, while an upper arm contains approximately 7,400 calories. An entire adult human male contains around 125,800 calories. Still, when it comes to the intake of raw energy for survival, human meat simply isn’t a good bargain, compared to other, more dense animals with heavier muscles. Compare a grown adult man’s 125,800 calories to a woolly rhinoceros’s 1,260,000 calories or an mammoth’s 3,600,000 calories. What kind of meat to look for if you’re trying to survive in the wild is a no-brainer. In case you thought cannibalism was a dying practice, relegated to only those stricken with the extreme misfortune of starvation and barbarians from centuries and eons past, you’re dead wrong. In a tweet, well-known evolutionary biologist Richard Dawkins recently asked a bizarre question: “What if human meat is grown? Could we overcome our taboo against cannibalism?” The tweet also included a link to an article about lab-grown meat, also known as in vitro meat or clean meat. Obviously, meat grown in a lab doesn’t require the death of an animal, only a few stem cells from a living specimen. The same process, of course, could be utilized to create human meat. So perhaps those of you who want to try cannibalism may someday be able to do so with the blessings of modern science. 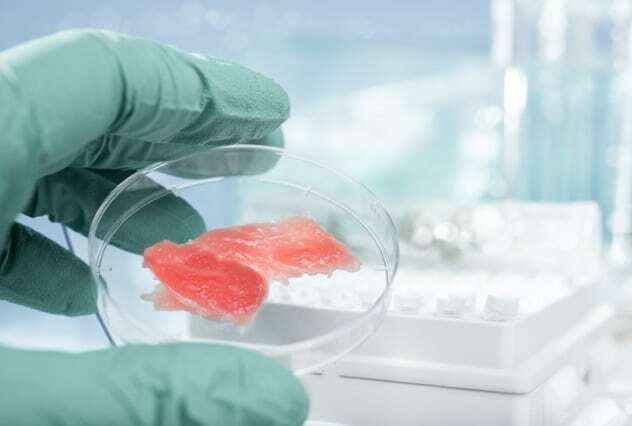 It is unlikely, however, that there would be much of a market for lab-grown human meat, although there would inevitably be some, such as performance artists, who would want to try it. I like to write about dark stuff, history, philosophy, horror, serial killers, and more. Read some more tidbits about cannibalism on 10 Engrossing Facts About Cannibalism and 10 Extreme Reports Of Cannibalism Over The Past 200 Years.